The Black Cutlass Machete is perfect for chopping down weeds, clearing a camp site or cutting small limbs and tree branches. 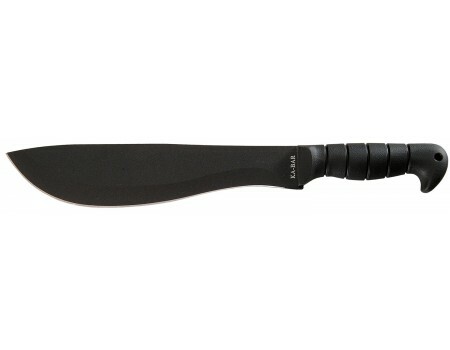 It has an 11" hollow ground blade with a 20-degree edge and is made of SK5 steel. With the ergonomic Kraton-G handle, overal length is 16.50". Sold with a leather/cordura sheath.